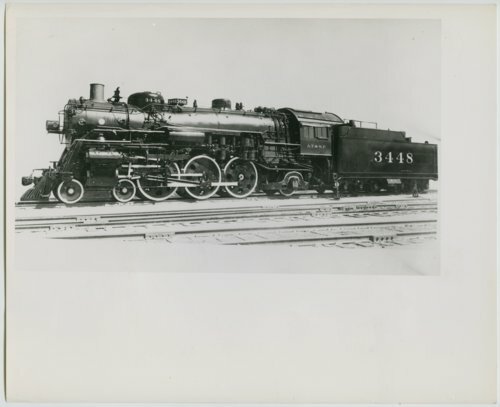 This photograph shows the Atchison, Topeka & Santa Fe Railway Company's steam locomotive #3448, 4-6-2. The engine was built between 1919 and 1924. It was later rebuilt between 1936 and 1942 for service.